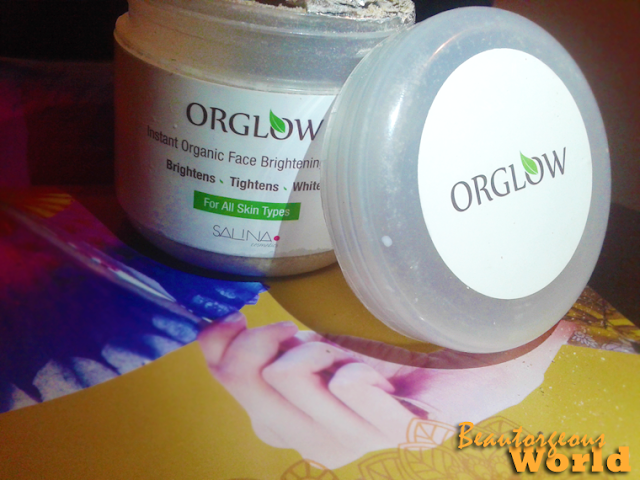 Hello everyone, today i am here to review 'Orglow' which is an Organic instant face brightening mask. Orglow is our 100% organic and 100% natural face brightening and whitening mask. Orglow gives you an instant brightening look, whitens and tightens the skin, making you look younger. It is made completely with natural ingredients, no chemicals of any kind are added, so it doesn’t harm your skin in any way! First thing which i noticed about this product was its quantity, for the price which is being paid for this product, the quantity is justified. Packaging of the product is simple, not like the usual fancy ones, which we find these days. 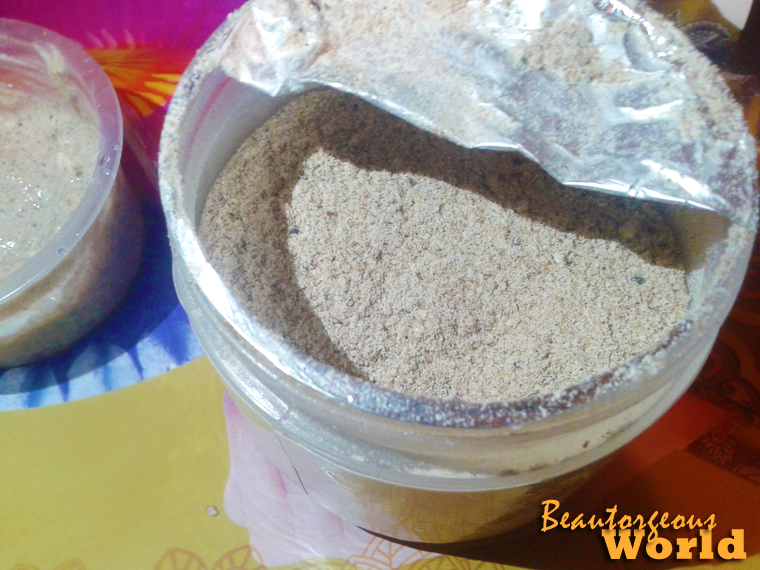 I liked that it comes in a jar and in powdered form which makes it easier to take out the product as much as is required. As instructed on the jar, i mixed one tablespoon of the product with one tablespoon of yogurt and made a paste. I applied the mask on my face and let it perform its miracle for 10 minutes. After 10 minutes i rinsed my face thoroughly. To be honest , i wasn't sure how much i need to apply on my face, so i packed a lot of it on my face, as one tablespoon of product and one tablespoon of yogurt was a lot for only my face. 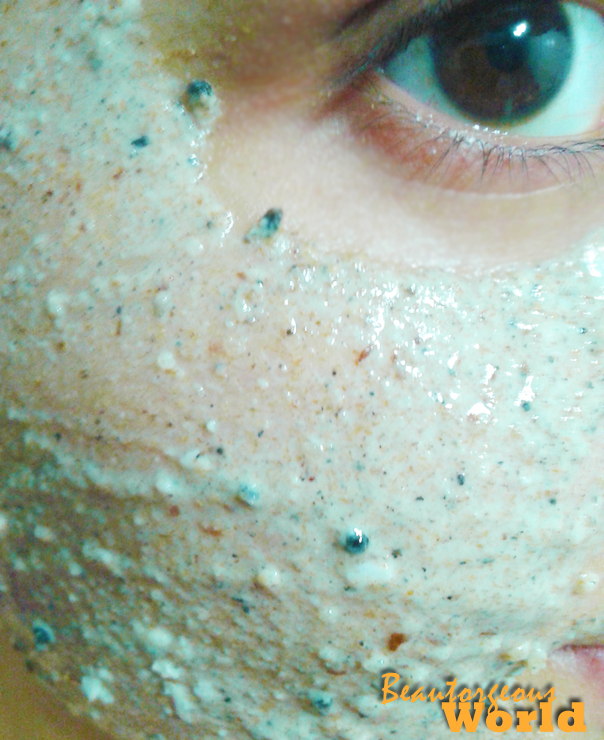 After the wash,my face felt smooth because of the yogurt and the granules which are present in the product. I did feel a lot of difference in my skin, i am not the kind of girl who stands and look at herself in the mirror, but after the use, i turned twice to look at my face, which was actually glowing !! My skin is not very dull, but i do feel, my skintone is not at all even, after a while of washing i did see the redness on my face lighten. 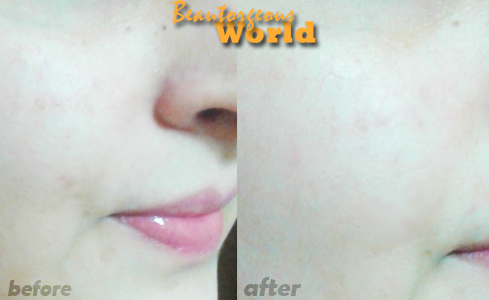 I also have lots of acne marks as well, right now i won't be able to tell the difference in those marks, as i have only used it once, but i am sure, with time this product will do miracles for me.I will try to update you with the results throughout my use. I have dry skin, so i usually get dry patches, after using facemasks, but after the use of this product my skin felt completely moisturized, which is a big thumbs up for me. 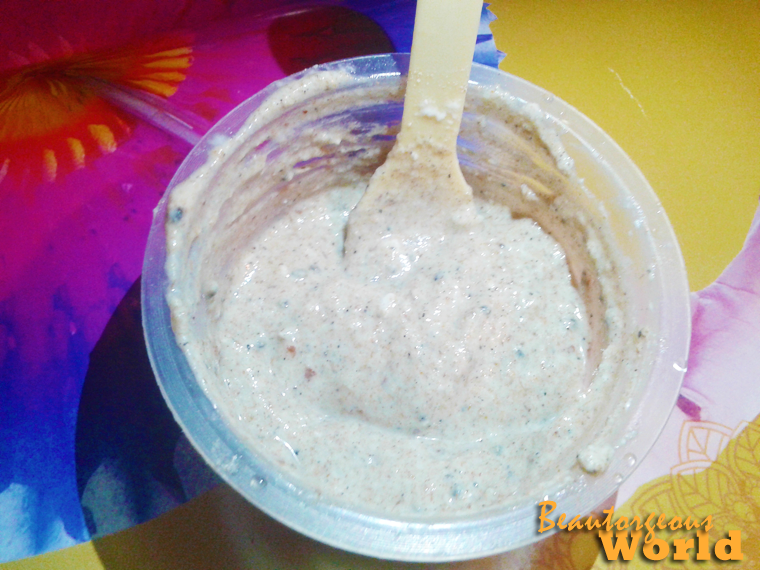 Later i also tried this mask on my sister, to be sure, whether it works for oily skin or not. I was surprised to know even after mixing yogurt in it, my sister didn't feel her skin was oily, her face was squeaky clean and smooth. One and only thing which i didn't like about this product was its smell. It doesn't smell good, mostly because it is organic and in organic products fragrances are not used. Guest Post - Winters are here grab your Hoodies !